Trained, licensed, and insured locksmiths offer Honda key duplication and creation no matter the model or year of vehicle you’re driving. If you’ve lost your key or simply need a second set of keys, we’ll immediately go to work to make your keys. We’re open 24 -hours per day, 7 days per week, ready to serve your needs morning, noon, or night. You can rest assured we’ll provide you a quality key for your Honda. We provide key-maker service at a fraction of the cost of a dealership and pride ourselves on providing each customer we serve with superior work. As dedicated locksmiths, our number one goal is creating high-quality keys that make our customers happy. You can trust our experts to go above and beyond to create the Honda key that you need quickly and efficiently. We understand that time is money and we vow to save as much of both for you as we possibly can. We stand behind our work and always ensure you receive professional key creation services. We can show you better than we can tell you. 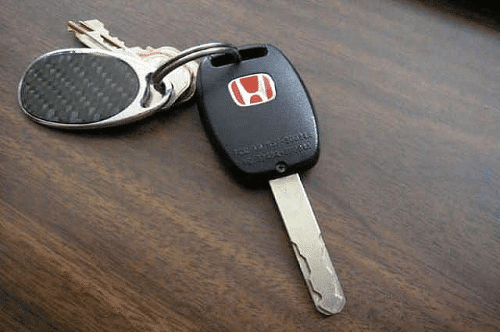 Won’t you call or come by when you need a new Honda key?